To make it’s presence in budget phone market, Lava has launched it’s powerful and stylish budget smartphone, the all new Lava Iris X8 featuring 5”-inch HD Display, Octa-core processor, Android kitkat OS , 8-MP +3-MP Camera which will be available in Indian market priced at Rs 8,999 in Black and White Colour option from Monday exclusively through Flipkart. It will take on Micromax, Intex, Xiaom, Motorola, Asus, Samsung, Xolo and Karbonn in budget phone market. The all new Lava Iris X8 supports Dual-SIM(GSM+WCDMA) offers you a bigger 5-inch HD display with resolution (720×1280 pixels) and scratch resistant Asahi Dragon-trail glass runs on Android 4.4 kitkat OS( upgradable to Android 5.0 )and powered by the fastest 1.4GHz octa-core processor, Mali 450 MP GPU with 2GB RAM, 16GB internal memory expandable up to 32GB via microSD card slot allows you enjoy your dream multi-tasking experience. Lava Iris X8 packed with a 8 MP rear camera with Dual-LED Flash, BSI 3 sensor and 3- MP front camera featuring auto-focus, Panorama, HDR mode, face detection, smile shot and voice capture options ensure crystal clear photos for your favourite moments. Lava Iris X8 will never let you down because it’s powered by a the most powerful 2300 battery which promising up to 15 days of standby time or up to 16 hours of talk time measures 143.4×70.9×8.6mm and weight 160 gm offers connectivity through 3G, GPRS/ EDGE, Wi-Fi 802.11 b/g/n, Micro-USB, and Bluetooth. Now even gestures can control your phone, the fuel50 makes launching your favourite apps quick & intuitive. With it’s ‘double tap’ function, you can switch on the display of your phone instantly. Want to use the camera and your screen is locked or unlit? Simply write ‘C’ on the screen with your finger. Want to go to your favourite music? Just write an ‘M. Camera Features Panorama, HDR mode, face detection, smile shot and voice capture options. 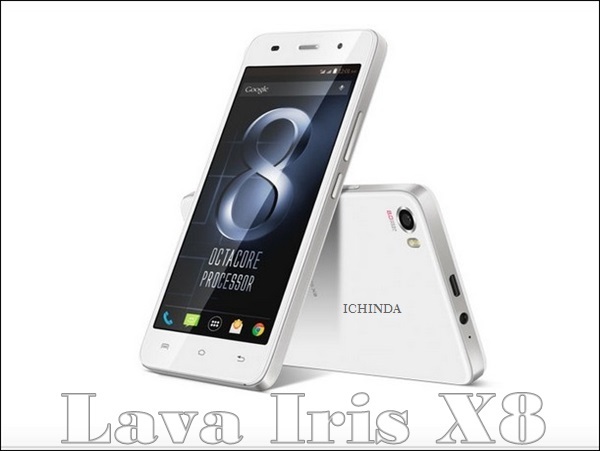 At last few honest word, the all new Lava Iris X8 is the best choice for budget phone lovers. What you think? Please be open to give your view.